​The Banghart Lab launched at UCSD in the Fall of 2016. UCSD graduate students should contact Matt by email to discuss rotation opportunities. Prospective graduate students should consider the graduate programs in Neurosciences or Biology (international students should apply to Biology). Postdoctoral candidates should email Matt their CV, a brief statement of research experience and interests, and contact info for 3 references. We are currently seeking trainees with interests and/or experience in imaging and sensor development. Matt originally trained as an organic chemist. During his doctoral studies at UC Berkeley with Dirk Trauner and Rich Kramer, Matt developed methods for regulating ion channels with light, which initiated his transformation into a neuroscientist. Matt then pursued postdoctoral studies as a Helen Hay Whitney fellow with Bernardo Sabatini at Harvard Medical School to study the neurophysiology of endogenous striatal neuropeptides. This experience cemented his interest in how neuromodulators influence behavior. 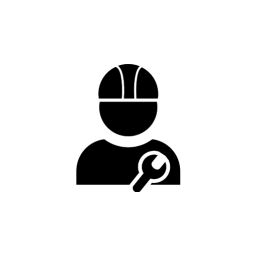 Outside of the lab you might find him running or cycling in the canyons around La Jolla, playing in the sand at the beach with his son, tending to his garden, or hovering over his Weber grill (year round). He also enjoys camping, hiking and snowboarding, and is always looking for excuses to be outside in the sun. Jingjing holds the honors of being both the first postdoctoral fellow and the first chemist in the lab. 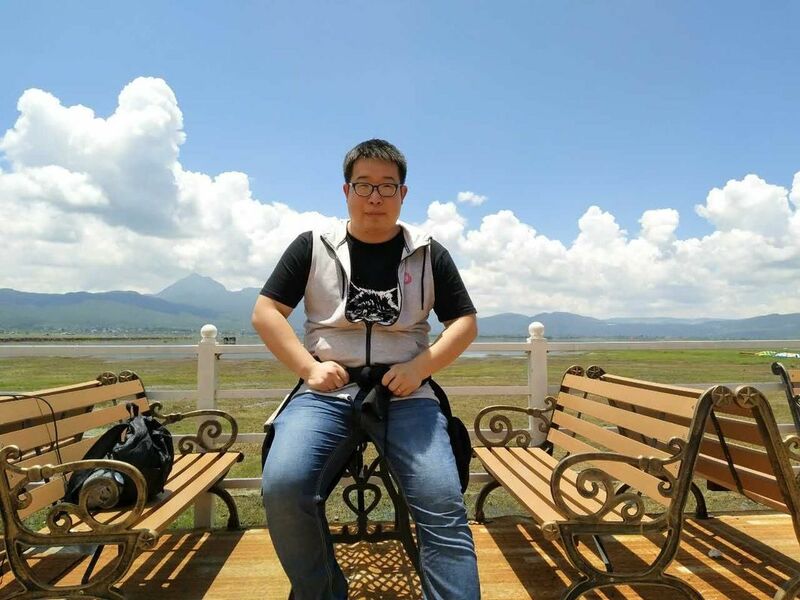 He graduated in 2016 with a PhD in organic chemistry from Peking University, where he conducted several elegant natural product total syntheses with Professors Tao Ye and Zhengshuang Xu. He then worked as a Senior Chemist at Pharmaron for one year before heading to the US for his postdoctoral studies. Jingjing is in charge of synthesizing many interesting molecules that underlie several tool-development projects in the lab. In addition to exercising his chemistry skills, Jingjing aims to learn about the biological processes that can be studied using small molecule probes. When not totally crushing it in the chemistry hood, Jingjing enjoys the mild climate and inescapable natural beauty of La Jolla and the surround area. Jenny is the first graduate student to join the lab. 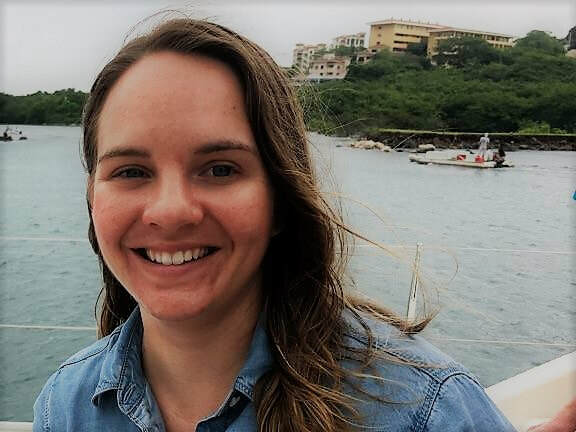 Hailing from all over the world, but most recently from Pomona College followed by Postbaccs at the NIH with Heather Cameron and Katie Kindt, Jenny has experience with a wide array of questions and methods in modern neuroscience. But her passion in the lab seems to be electrophysiology and synaptic transmission. Her current project is aimed at elucidating the molecular mechanisms by which supposedly convergent neuromodulators are able to independently suppress the same genetically-defined synapses without cross-talk. Jenny is also a voracious and extremely agile climber and a talented photographer. Most weekends lead her deep into Southern California's iconic deserts and mountains for epic bouldering and rock climbing adventures. Susan joined the Banghart Lab in 2018 through the UCSD Neuroscience Graduate Program. Originally from Baltimore, Maryland, she began her investigation of neural circuits with Katrina MacLeod at the University of Maryland College Park, followed by two years at NIH's National Institute on Aging in Baltimore under the mentorship of Henriette van Praag. Now at UCSD, she remains just as fascinated by how neural circuits are built and function to support sensory experience. In the lab, Susan is focused on understanding the physiology and gene expression of neurons in the midbrain and brainstem that are involved in modulation of pain, as well as the role of neuropeptides in defining these circuits. On the weekend, she loves to try new San Diego restaurants and breweries and cheer from afar for her favorite football team, the Baltimore Ravens. Giulia joined the lab with a formidable background in slice electrophysiology, having learned to record from up to three cells at a time during a stint in the Tolias Laboratory at Baylor. Before that Giulia spent two years studying LTP en route to a Masters degree in Neurobiology from La Sapienza University in her hometown, the great city of Rome. Although Giulia currently has her hands in many projects, her primary efforts are devoted to uncovering the organization of antinociceptive circuits in the brain. Giulia spends her free time exploring California's many wonderful destinations, many of which include waves, sand and sunshine. She is devoted to raising a happy and healthy kitten and also makes a mean tiramisu. Boris graduated from UCSD in 2017 with a B.S. in Molecular Biology just before joining the lab. While pursuing his degree, Boris worked in the lab of Amro Hamdoun at the Scripps Institute of Oceanography. Originally from Siberia, Boris does NOT complain about the weather in San Diego. In the Banghart lab, Boris manages the lab's core operations from genotyping to cloning to producing AAV. Additionally, Boris is currently working on the development of genetically-encoded optical sensors for neuropeptides. Boris is an avid reader and tech junky. 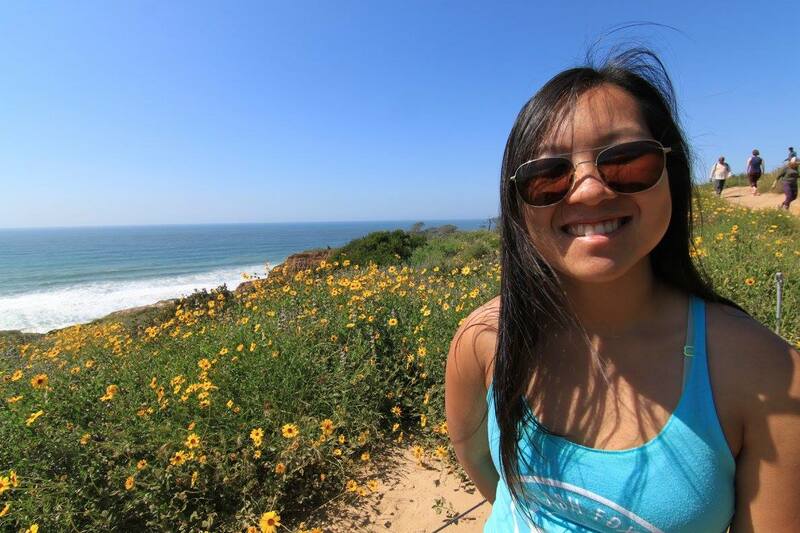 Janki is a 3rd year undergraduate at UCSD majoring in Physiology and Neuroscience and minoring in Marine Science. She joined the lab when she was a sophomore and has become skilled at histology and fluorescent imaging, while also trying her hand on some behavior experiments. Currently, she has been working on using fluorescent in-situ hybridization to study gene expression in nociceptive circuitry. Apart from her neuroscience ambitions she also wishes to educate people about climate change and help save the oceans. She has an undeniable love for gelato and loves to bake whenever she can. Hiking, running and playing tennis are some of the outdoor sports she enjoys. She hopes to parent a golden retriever in the future. ​Emilya is a BS/MS student in the lab. She is currently finishing her undergraduate degree in Physiology & Neuroscience and minor in Music. Prior to joining the Banghart lab, Emilya interned at Palomar Health and Hoag Memorial. Shaped by such experiences, her preeminent drive is to investigate mechanisms implicated in behavioral pathologies. She demonstrated her intense curiosity for neuroscience by asking a ton of great questions in Matt's Cellular Neurobiology course and was subsequently invited to work in the lab. Since then, Emilya has been working closely with Giulia on antinociception while honing her histology, fluorescence imaging and behavioral pharmacology skills. In addition to academics, Emilya spends her spare time haphazardly outdoors or chasing the arts. Vidit is a 4th year UCSD student majoring in Physiology and Neuroscience. He previously worked on Gene Drive technology with Valentino Gantz and was recruited to the Banghart lab in the summer of 2018 for his molecular biology skills. He's been working hard on the development of nanobody-based neuropeptide sensors and recently mastered Gibson Assembly single handedly. Vidit is eager to apply his extensive molecular biology knowledge in the biotech field upon his pending graduation and spends his free time on the soccer field or traveling overseas. John is a 3rd year UCSD student majoring in Physiology and Neuroscience. He is on a pre-med track and juggles his lab work with volunteering at hospitals and shadowing doctors. Yet he somehow manages to materialize in the lab like clockwork, knock out a ton of histology and then vaporize ten minutes before the hour for class. John relies on his longboard to get between destinations and a quick convo with him in one of his trademark tie-dyed t-shirts will remind you how the cool and laid-back atmosphere of Southern California does not preclude proficiency and productivity. He is also an avid cyclist and loves the beach. 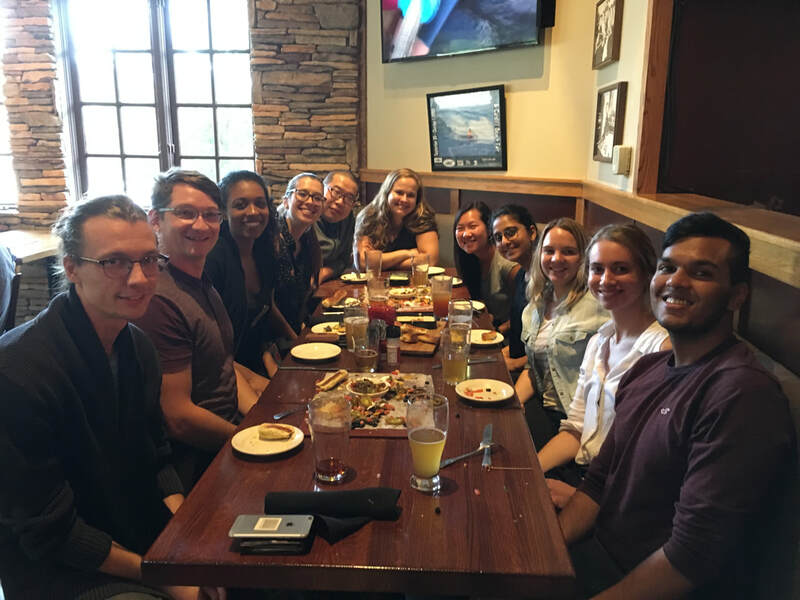 End of summer celebration on Friday Sept 7, 2018 at Rock Bottom in La Jolla commemorating the lab's incredible progress while Matt was out of the country for several weeks. From left back to the right: Boris Stepanyuk, Matt Banghart, Desiree Johnson, Giulia Livrizzi, Jingjing Zhou, Susan Lubejko, Jenny He, Janki Patel, Shannan McClain, Emilya Ventriglia, Vidit Goyal. 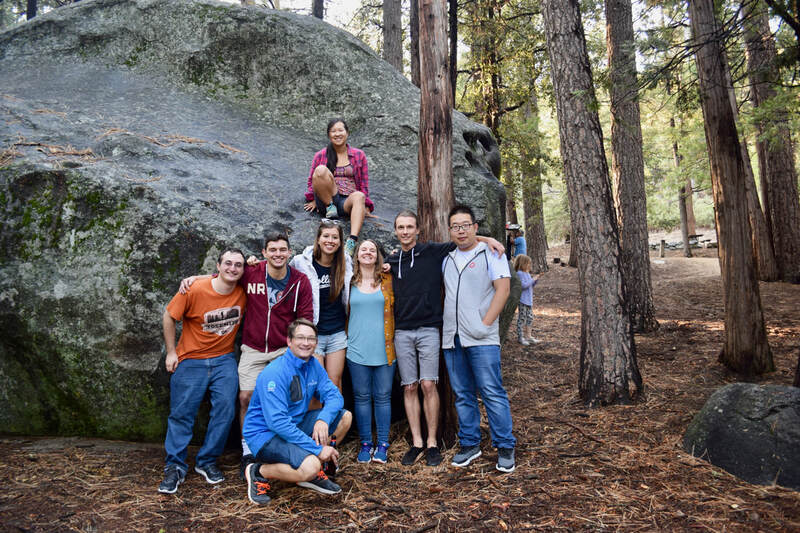 Banghart lab camping in Idyllwild, CA Sept 9-11, 2017 (Bloodgood, Komiyama and Gremel labs not shown). Banghart, Pekkurnaz and Bloodgood Lab camping trip in Idyllwild, CA on June 9-10, 2017.